Hogan will make his RAW return to pay tribute to the late 'Mean' Gene Okerlund. Just moments ago, the shocking announcement was made that Hulk Hogan will return to WWE RAW this Monday, to pay tribute to the late 'Mean' Gene Okerlund. From a historical point of view, this makes total sense. 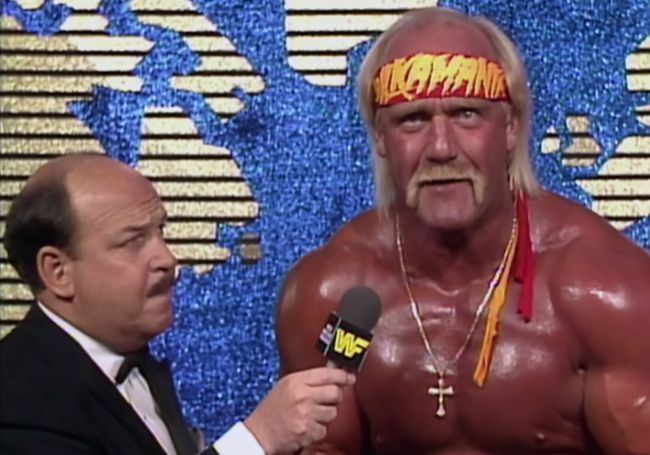 Okerlund was a key part of the Hulkamania era, and there are few Superstars more associated with the late announcer than the Hulkster himself. With that said though, the backlash from fans has been immediate, with many criticizing the company that fired Hogan in 2015, after tapes were leaked of Hogan using racist slurs. And I want to stress that I in no means whatsoever, defend Hogan's awful words, but in this day of people forming instant opinions, I ask: is the second chance dead? Hogan said awful things, yes, and paid the price. In his 3 years away from the WWE, his detractors don't seem to mention the fact that the former WWE and WCW Champion has apologized countless times. Now, whilst some may see these apologies as nothing more than 'damage control', I prefer to be an optimist, and see Hogan as someone who realized what he said was wrong, and is genuinely remorseful. "It was unacceptable for me to have used that offensive language; there is no excuse for it; and I apologize for having done it." Likewise, his detractors don't seem to mention Hogan's hours upon hours of charity work upon being fired, working prominently with the Boys & Girls Club of America, where he has spoken to children about how they can, and should, avoid the hateful rhetoric he said in 2007. Hogan was already a divisive figure among wrestling fans before the recordings came to light, due to his years of politicking backstage, often at the expense of other Superstars. Again, I don't condone what those tapes revealed Hogan said, but I do feel that the Hulkster is at least owed a second chance, especially as he's shown how sorry he is, and the WWE Universe should at least grant him an opportunity to change his ways. I'm not expecting a warm reception for the Hulkster come RAW, but I hope that the fans in attendance, and those watching around the world, will allow this man, who has done good and bad, to be able to say one final goodbye, to an old friend. And if the WWE Universe won't allow him that, well, wha'cha gonna do?